As the winter months approach, it truly is time to turn our consideration to what we are able to do to insure the safe operation of our heating appliances at the same time as look at different ways to assist conservation of power. Here are a handful of ideas which can insure a secure, warm and efficient winter season in your house. 1. Seal gaps and cracks around windows and doors with weather stripping and caulk. Even the tiniest of leaks can add as a great deal as much as 10% to your heating bill. 2. Cleaning your gutters is really a chore no one looks forward to, but an excessive buildup of leaves & other debris may cause water to seep back into your home, resulting in unwanted water damage. 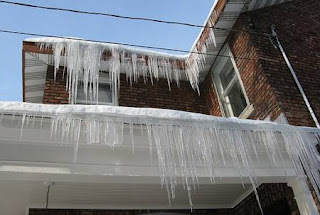 As the winter season approaches, it's a excellent time to inspect and clean your gutters to insure their optimum performance through the wet, cold winter months. 3. Have your furnace inspected by an HVAC professional to insure it can function properly when required, and don't foget to replace the filter. A dirty filter will cut down on the overall effectiveness of your HVAC system. 4. Check your fireplace to insure it is going to operate safely and correctly - this might include things like contacting a chimney sweep if it has not been cleaned recently. 5. Be sure to test smoke and carbon monoxide detectors throughout your whole house. If you don't have detectors currently, it is highly recommended that you get them installed. Check the batteries with a battery tester to ensure they have most of their life left and and replace them if they are not good. 6. Drain outdoor hoses, faucets and sprinkler systems to help reduce the risk of pipes bursting. For those who have unprotected pipes in your attic, it is a excellent time to wrap them to help prevent a rupture of these pipes. 7. Look into a programmable thermostat. Current models let you to set your heat to allow the house to become warm while awake in the daytime and allow for reduce temperatures when you are asleep or away from the house in the daytime. Thanks for your tips. You have done a great job.